From fairytale, through folklore, to myth, supernatural beings are a cornerstone of Fantasy storytelling and the fey have always been one of favorites. As a very small child, I loved listening to a retelling of Sleeping Beauty that featured on a local radio station — and subsequently read all the fairytales I could find, particularly those with actual fairies or fey in them. Some of the qualities associated with the fey that appealed to me included magic, otherness, mystery, power, and delight but also danger. These qualities are among those that also characterize the fey in Fantasy storytelling, such as Diana Wynne Jones' children's book Power of Three. Rudyard Kipling's Puck of Pooks Hill and Rewards And Fairies are another, though older example — to a decidedly adult version featuring some of the same characters, in Raymond E Feist's dark-edged Faerie Tale. The fey unquestionably have their place in adult storytelling. Author CJ Cherryh has a series of Fantasy novels centered on the Fey and folklore, some in analogs of this world, such as Rusalka and Chernevog, while the Ealdwold books are set in an essentially "other" world where the fey are closer in kind to Tokien's elves. The fey appear in Charlaine Harris's Sookie Stackhouse series, in Neil Gaiman's American Gods, and Charles De Lint's Newford novels. 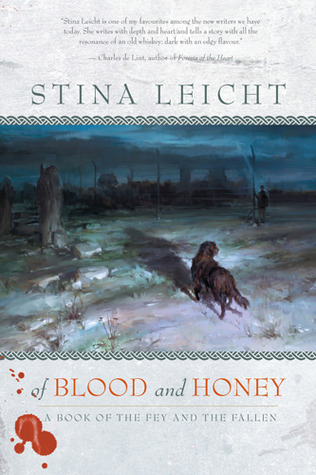 In Stina Leicht's The Fey & the Fallen series, a darker and more brutal version of the fey are entwined with the Northern Irish Troubles. 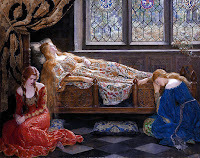 Readers who are fans of fairytale retellings and YA lit. will know this is home turf for encountering the fey. Some examples I have enjoyed include Charles De Lint's The Blue Girl, Melissa Marr's Wicked Lovely, and Elizabeth Ann Scarborough's Godmother books, which take a series of diverse fairytales and weave them into a contemporary story. 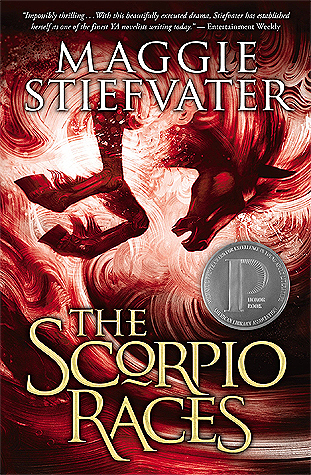 The fey take many forms, however, and Maggie Stiefvater's The Scorpio Races centers on the capall uisce, the vicious and maniacal water horses of Celtic legend. All these stories are either urban fantasy or overlap our everyday world, but fey-centric tales and fairytale retellings can also take place in historical settings, such as Juliet Marillier's Wildwood Dancing (the twelve Dancing Princesses retold in a Transylvanian setting.) 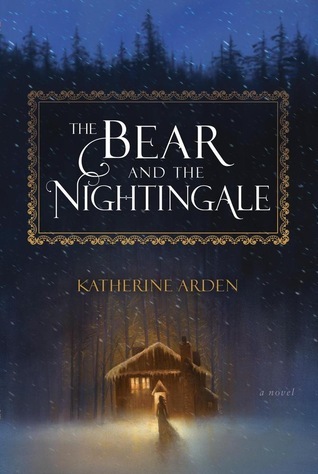 Recently, Katherine Arden's The Bear and The Nightingale returns readers to the Russian setting of Rusalka and Chernevog, but with a distinct historical cast. The giveaway has now closed. The result is posted Here. I'll make the draw on Saturday 12 May (using RANDOM) and will post the result here and in a fresh post at the top of the masthead, also on Saturday 12. Note: Neither I nor the Supernatural Underground will use your contact for any purpose except drawing this giveaway, unless your further permission is sought. Great post, Helen. I love thinking about the fey in stories I've read. The Scorpio Races is definitely one of my favorites. I also like Charlaine Harris's Fey, similar to Patricia Briggs' interpretation in her Urban Fantasy Series Mercy Thompson (Moon Called is the first book). Also, a YA book by Holly Black, The Darkest Part of the Forest has great Fey. Oh and Kalayna Price's 'Fae' are captivating as well in her Alex Craft series. The Fey make fantastic anti-heroes, don't you think? One book I don't see on the list is The Broken Sword by Poul Anderson. This is quite an early example of a fey fantasy. Wild, dark and doomed romance! 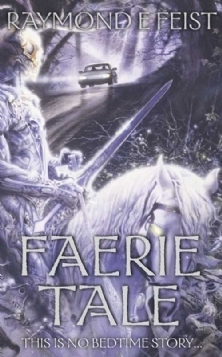 I adore fairytale retellings and urban fantasy with the fey and other paranormals. Robin McKinley's "Beauty" is one of my favorites and I've always liked the fae/elves in Tad Williams Dragonbone books Patricia Briggs Mercy Thompson world is one of my go-to's as well! Count me in for the giveaway. I've been keen to read Thornspell since I read Kate Forsyth's review. Love, love, love all things fey, fairy, supernatural!!!! Pin all the motivational quotes!